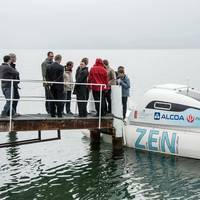 Sea Machines is bringing autonomous self-driving systems to the world of workboats. 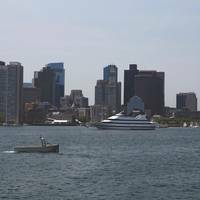 At an impressive virtual reality demonstration seen late last year and then again at a frigid, late winter visit to the Boston waterfront, the future of workboat technology became all too evident for this writer. The late George Allen, former head coach of the Washington Redskins football team perhaps said it best when he coined the phrase, “The future is now.” If so, then Michael Johnson, the founder of Sea Machines Robotics has brought that reality to the marine industry. 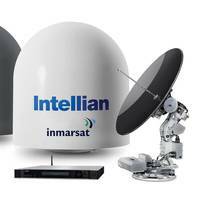 Intellian Technologies, a provider of maritime satellite antenna systems has announced the launch of the GX100PM, a 1m GX terminal specially designed for use in Defense and Intelligence applications. The GX100PM is the 1m military grade maritime terminal, Type Approved for use on Inmarsat’s Global Xpress network. It is compatible with Inmarsat’s Global Xpress ‘SATCOM as a Service’ capability, which allows maritime users to access seamless reliable commercial wideband connectivity delivered as managed service worldwide. The Naval Sea Systems Command (NAVSEA) awarded General Dynamics Land Systems a $26.2 million contract for the production of MK46 Modification (Mod) 2 Gun Weapon Systems (GWS) for use on Littoral Combat Ships (LCS), and Zumwalt-class (DDG-1000) ships. General Dynamics Land Systems is a business unit of General Dynamics (NYSE: GD). The MK46 30mm Naval Weapon System is an all-weather, day/night, fully stabilized weapon system. Its lightweight, modular and compact size makes it an ideal candidate for numerous anti-surface and anti-air defense applications. 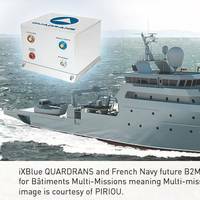 PIRIOU selects iXBlue’s QUADRANS as reference gyrocompass for the French Navy B2M multi-mission ship program as iXBlue QUADRANS sales tops 400 units since launch. For each vessel, iXBlue will supply the complete navigation suite, including QUADRANS gyrocompass, NETANS data distribution and processing unit, and the warfare navigation software. iXBlue is a global provider of navigation, positioning and imaging solutions and services for civil and defense applications. PIRIOU specializes in the design, construction and repair of high value-added ships. Boeing and Liquid Robotics signed a global, multiyear teaming agreement for collaboration on product development, maritime services and operational deployments. The initial focus of the collaboration will be to develop total integrated solutions for antisubmarine warfare, maritime domain awareness and other maritime defense applications. “It’s a great opportunity to partner with Liquid Robotics to provide new and existing customers a unique portfolio of defense solutions and capabilities,” said Chris Chadwick, president and CEO of Boeing Defense, Space & Security. 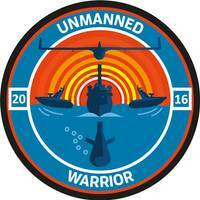 Unmanned Revolution: USVs Set to Conquer the Seas. According to Frost & Sullivan, replacing manned systems with USV is not a question of if but when. 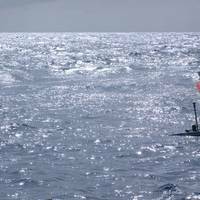 Unmanned surface vessels (USV) still lag far behind their aerial equivalents in terms of technical capabilities, technology and deployment. However, new threats, cost-benefit calculations, operational experiences in the past decade and new technological developments are driving rapid growth in the market. A USV may be used instead of manned vessels not only for defense but also in Homeland Security (HLS), security, and civil applications such as vessel monitoring, law enforcement (drugs, piracy) and enforcement of fishing and environmental laws. MTU North American Training Center announces arrival of new Series 8000 marine engine for maintenance & repair training. 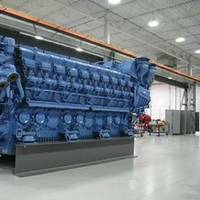 Tognum America has announced the arrival of an MTU Series 8000 marine engine at its 30,000 square-foot MTU Training Center in Canton, Mich. The Series 8000 is used in mega-yachts, commercial marine and defense applications. 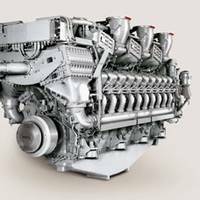 Measuring over 11 feet high, 21 feet long, and with dry weight of 46,200 kg (101,853 lbs), the Series 8000 is the largest and most powerful engine produced by MTU. Enlisting the aid of experts from the Office of Naval Research (ONR), a Maryland-based nonprofit rolled out a series of educational science competitions for area middle and high school students Sept. 17. ONR program managers Kurt Yankaskas and Dr. Mike Traweek spoke with youth beside a 12-foot submarine at the Patriots Technology Training Center's (PTTC) back-to-school kickoff at Kenmoor Middle School in Landover, Md. The bright yellow, 300-pound, human-powered vessel dubbed "Sub Taxi"-which was built, designed and engineered by students-drew a steady stream of spectators during the five-hour event. 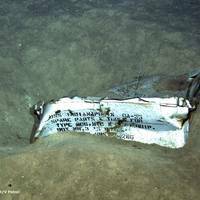 "Some of the attendees were very young, and the excitement on their faces was clear as they took crew positions inside the submarine," said Yankaskas, who volunteered at the event. Zyvex Technologies claims that its Piranha USV (unmanned surface vessel) is the largest boat of its kind built from nano-enhanced materials. 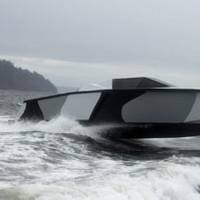 Constructed entirely of Arovex, a nanotube-reinforced carbon fiber, the 54-ft boat weighs only 8,000 lbs. and can carry up to 15,000 lbs. more than 2,500 miles. To stabilize the vessel, Zyvex selected a Seakeeper Gyro Stabilization System. "Stability is especially important on a vessel intended for unmanned operations," said Zyvex director of defense applications Mike Nemeth. With the the task of securing tens of thousands of miles of U.S. Coast, agencies at the federal, state and local levels are increasingly turning to high-performance boats. In turn, these buyers rely on premiere events such as the Multi Agency Craft Conference (MACC) to experience the latest tech first hand. In its seventh year, over 1,300 representatives convened for the 3-day event at Little Creek Amphibious Base in Norfolk, Va. where MACC provided an expansive venue for government and commercial marine companies alike. As the emphasis on littoral combat continues to permeate, decision makers gather to absorb invaluable information, including the latest technologies to equip the mission-minded modern fleet. In considering activities in the U.S. maritime industry for the short and long term, it is unwise to start the conversation without a mention of the patrol and defense needs of the country in the mounting effort to secure nearly 95,000 miles of coastline. As plans emerge during the coming weeks, months and years, the only certainty is increased funding for a variety of ships, boats and marine-borne electronic surveillance systems geared toward meeting and defeating enemy attacks, both large and small. An embodiment of the push for new technology is embodied in the activities of companies such as Larry Wieber's Aluminum Chambered Boats Inc. (ACB) in Bellingham, Wash.
Electronic Sensor Technology has received an order from Northrop Grumman Corporation, a leading defense contractor and shipbuilder distributor, for three zNose devices. The devices are expected to be used for cargo detection in Louisiana as part of Northrop Grumman's security integration project for the U.S. Navy. The zNose is an electronic sensor device that can capture and analyze nearly any odor, fragrance or chemical vapor within ten seconds, for security and defense applications. The U.S. a preliminary design for the Littoral Combat Ship (LCS). teams that was down-selected in the competition to build the first two ships of this class. Dynamics-Bath Iron Works. on Austal’s unique 126 meter high-speed aluminum trimaran hullform. the global military vessel market. project,” Mr. McKinnon said. appropriate choice for ships, even in combat roles. defense contracts,” he said. 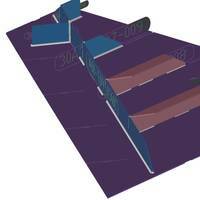 solution for the Navy’s LCS requirements. Mr. a variety of defense applications. two builders, one or both of whom will build the first two ships. construction in early 2005 and the other in early 2006. construction of three ships in 2008 and four in 2009. The Navy predicts that up to 60 Littoral Combat Ships may eventually be required. Austal Ships' is furthering its strategic advantage in the growing market for high-speed military vessels, via its U.S. joint venture shipyard being short-listed to build an experimental vessel for a program sponsored by the United States' Office of Naval Research. Dubbed the "X-Craft," the 262-ft. (80-m) catamaran will feature twin LM2500 gas turbines and be capable of speeds of approximately 50 knots. Prime contractor for the project is San Diego-based Titan Systems Corporation, which has selected Austal USA as one of five shipyards to participate in the final tender round. The tender closes early in 2003, with delivery of the independently-designed aluminum catamaran scheduled for mid-2004.